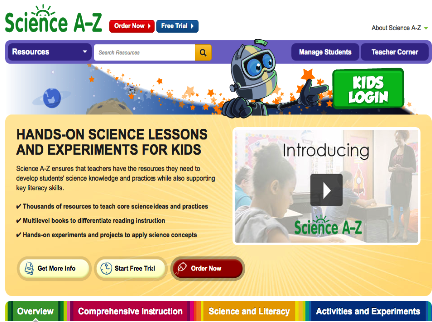 Learning A-Z, the popular provider of literacy-focused products, has recently added some interesting resources to its Science A-Z section. 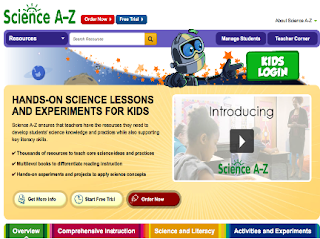 These are interactive learning materials students can use to enhance their science learning. These include hands-on science lessons and experiments for kids, multilevel texts that seamlessly integrate science and reading and many other resources. To use any of these materials you need to register with Learning A-Z. Also keep in mind that while the website offers a free trail, you will have to purchase a subscription plan to use any of their resources.